So today I walked into work with a colleague. Four coffees in hand for the staff, breakfast all ready to go. There's a loud laugh coming from behind the door, leading into the rest of the offices. Vanja is in already. Sonja is already on the phone, throwing a quick smile our way to say hi. Hand over her coffee to keep her smiling! Open the door, and yes! There's Vanja, her contagious smile and energetic behaviour immediately making the workplace a better place to be. Rochelle runs through, already on her toes doing a billion things at once. I hope she got some sleep last night. 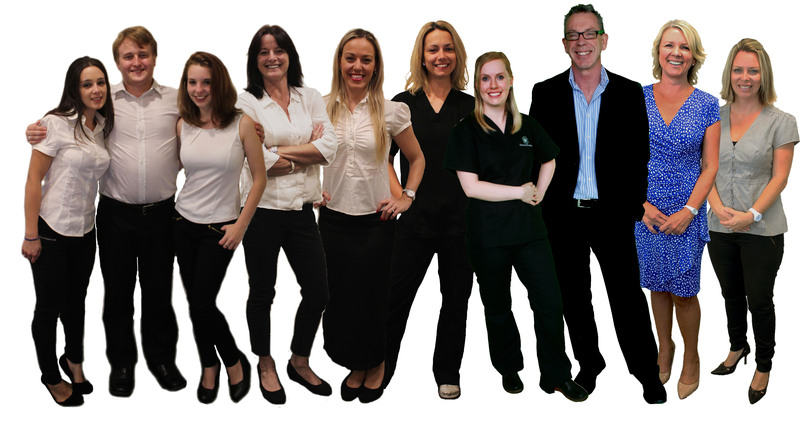 The Admin, nursing, science, marketing and psychology team at Demeter strive to create a happy and exciting environment for your journey through our clinic! Ahh, I've been distracted! Max has already made his way to the desk and wouldn't you know! He's already chasing up someone medicare rebates. Who's have been sent off, who's have come back? The phone rings! Better get to work! Oh it's for Jill. Already on the computer. No mucking around in the morning, straight to business! But who isn't here yet? Oh! The doctors! Wait, Dr Knight strolls in, computer bag swinging from his shoulder, and slightly less crazy shirt, but still in his best dress. "Morning guys," a nice smile and off he goes to start his day too. And then Dr. Jessup, back after a long week off and looking pretty good! A new hair do and a good sleep has brought a happy Sonya into our offices today. What a place to work at, busy busy and so happy. A few confirmed pregnancies to help our good moods flourish and the day go by faster! I hope you have as great an experience when you come in as I do every morning I turn up to work.